Derek Sheils and new signing Tom Weeden will spearhead an exciting and revamped Burrows Engineering Racing line-up in conjunction with Richardson Kelly Racing in 2019. “We are embarking on a new venture next season and the team will be known as Burrows Engineering Racing in conjunction with Richardson Kelly Racing. We are getting fantastic support and it is something that I am very excited about, said team boss John Burrows. “I’m delighted to have Derek back on a full-time basis for the three internationals and selected Irish National road races, plus Macau. Derek unfortunately didn’t have a great international run with us in 2017 at the TT especially, and that will be a major priority for us next year and we want to give Derek the chance to show what he can do. I believe there is a lot more to come from Derek and the top ten at the TT is not out of is reach. “Tom Weeden is new to the team and I have spoken to him a few times in person. I met Tom over at the NEC Show and we are looking forward to welcoming him into the team. Tom won the 2016 Senior Manx Grand Prix and lapped at over 121mph, which is a tremendous speed for a 600cc machine. “We hope Tom can make good progress with us next year and although his career has not taken off the way he would have hoped – with a crash at the TT in 2017 putting him on the back foot – I am hoping that we can put the spark back into his career and he is certainly a quality rider. 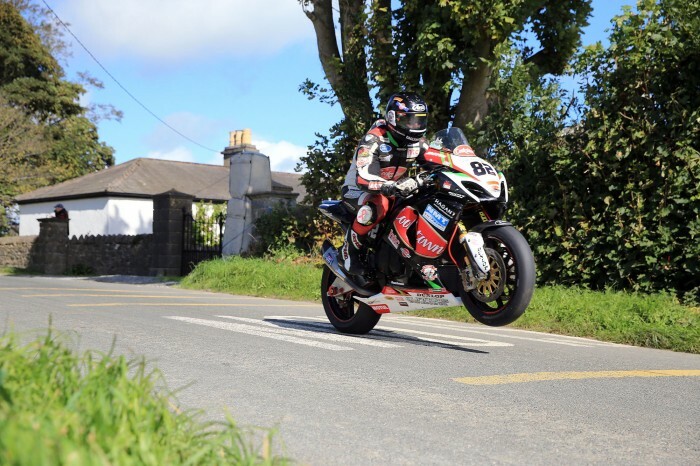 “Looking ahead to next year, as a team we will be competing in a reduced Irish National race programme and at this moment in time, I have pencilled in Cookstown, Tandragee and Armoy. Davey Todd will be moving on to new pastures next year and we wish him well.